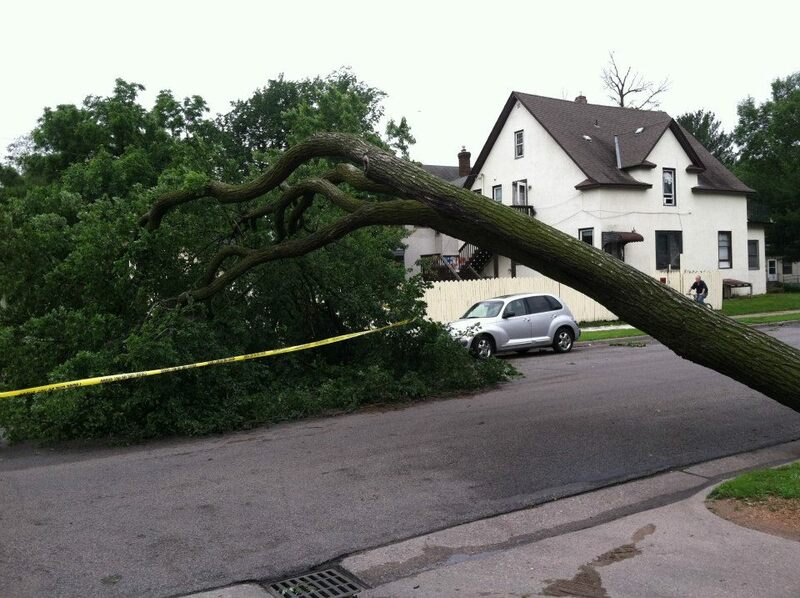 A block in South Minneapolis after Friday’s storm. As I watched the trees in our backyard compete with the rain to see which could become more vertical last Friday, I knew immediately it was going to be a devastating storm. Pounding rain and high-velocity winds are always a recipe for significant change to the landscape. Such was the case last Friday across much of Minnesota. I have lived through blizzards, hail storms, flooding, ice storms, forest fires, tornadoes, and even a major volcanic eruption. Each time I have been amazed by the power of creation and the impact it has on our lives. Homes, livelihoods, and even life can be destroyed — often in a matter of moments. After each event, however, I have witnessed a hopeful, resilient spirit amidst a very prevalent we-are-all-in-this-together response. Deep within us is a compassion that evokes an inner drive to bring our gifts to meet whatever needs are present as a result of the catastrophe that has turned lives — often literally — upside down. We do the same ourselves when we reach out to those whose lives have suddenly become shaken to their core. Brian, I see that you are serving in my home state of beautiful MN. I grew up in Burnsville just south of Mpls. I’ve enjoyed reading your blogs and seeing what God is doing in your life these days. Congratulations on becoming Bishop!. I’m still doing youth ministry in Orlando at the Episcopal Cathedral downtown and feeling very blessed to have been there these past 18 years. God is good and has blessed our family richly in the past 20 years. Please give my love to your lovely wife and enjoy the beautiful Minnesota summer ahead.